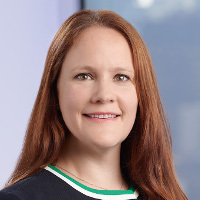 Charlotte Jacobsen is a first-chair litigator whose practice focuses on complex biopharmaceutical patent disputes, with an emphasis on litigation under the Hatch-Waxman Act and PBCIA. She has over 15 years of experience representing life sciences companies and has worked on cases concerning many drugs. She is one of a handful of biopharmaceutical litigators who has argued before the US Court of Appeals for the Federal Circuit, in inter partes review proceedings before the PTAB, and in federal district courts. Jacobsen has an MSc in forensic science, an MA in natural sciences, and an LLM.